Now is a good time to catch the cultural activities, marathons, and festivals in Madrid! Look at the most popular events in April and see which one do you like the most! 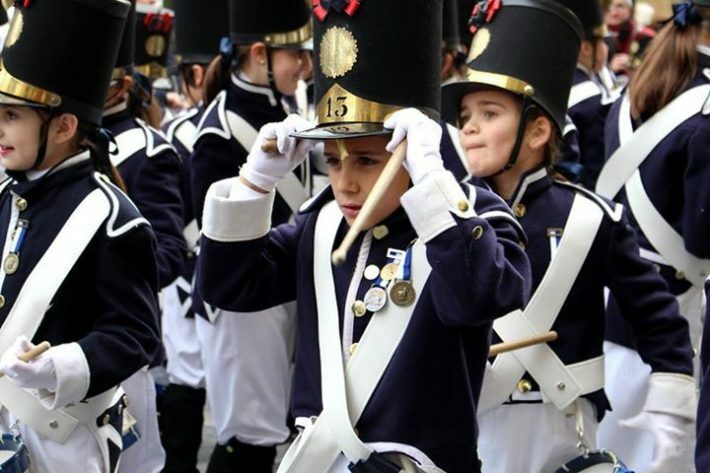 Tamborrada of San Sebastian is taking place between Plaza del Conde de Miranda and Plaza Mayor. Around 125 drumming groups parade in their uniforms around the town and over 15,000 people will gather to see and listen to their performance. If you will be nearby you should definitely come to see the largest and most impressive drum festival in Spain! Easter is one of the most important holidays in Spain. Processions are not as spectacular as that one in the Seville. 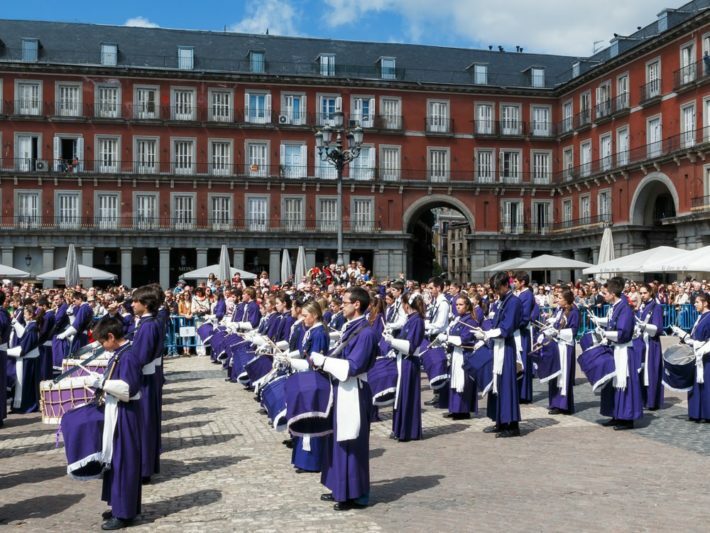 However, Easter celebrations in Madrid are always accompanied by sacred music and concerts so you will have a chance to listen to Encarna Anillo, Sandra Carrasco, Eva Ruiz La Lebri y Macarena de la Torre and others who will sing from the balconies in the square. Also, Easter is a time when the city is full of traditional dishes such as Soldaditos de Pavía (fried cod), croquetas de bacalao and various Spanish sweets. EDP Rock´n´Roll Madrid Marathon is one of the most visited marathons in Europe. The event is classified as a Gold Label Race by the International Athletics Federation and it is known as the world’s biggest running circuit. 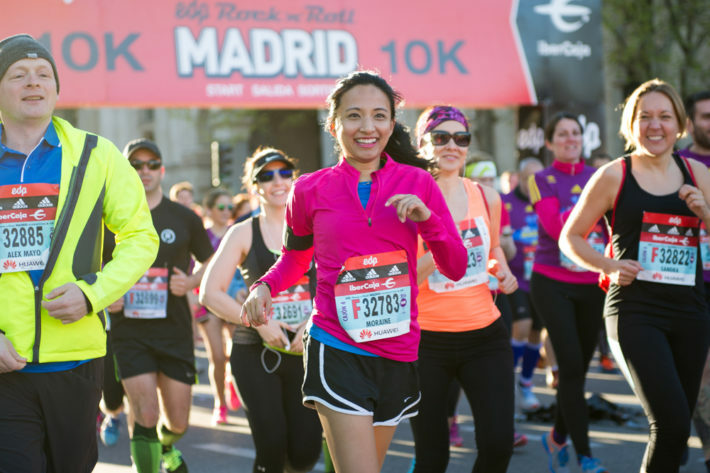 The race is annual and it attracts more than 90,000 non-participants who watch the race from Plaza de la Cibeles to the El Retiro Park. More than 15,000 professional runners will try to win this marathon and approximately 20,000 runners participate in the half marathon run. If you do not want to run, there will be music performances on over 20 stages for those who came as the runner's support. The 8th edition of Mulafest will take place in Madrid where various urban cultures and trends will meet at one place. 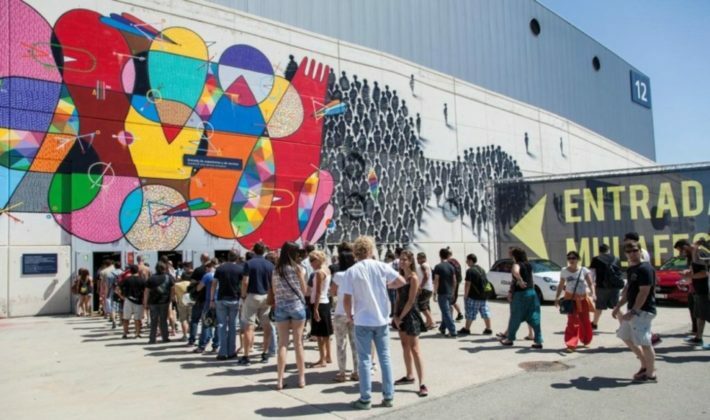 Street food, street workout and sports, a lot of artworks, urban circus, and electronic music concerts will be organized by MULA and Institución Ferial de Madrid S.A. (IFEMA). Those are the most popular events in Madrid that are recommendable for every tourist who is coming in the beautiful capital city of Spain. However, if you do not jet know when you are coming then you should come to Madrid from Apr 24th to May 11th. That is when one of the largest music festivals in Spain, Festimad, will gather a large number of music groups that will perform in more than 50 concerts. The only thing that you should know before you come is that April is the rainiest month of the year so prepare yourself and bring some umbrella or a rain jacket. For finding the best accommodation in Madrid go to Habitat Apartments website and find the apartment that suits you the best.